At King's Church we have a Senior Leadership Team that overseas all the activities of the Church. 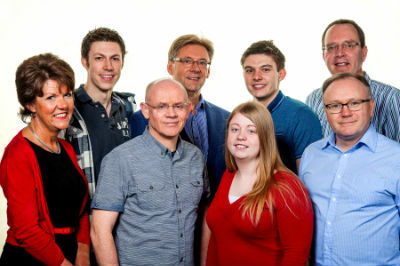 This team is made up of the Senior Leaders Graham & Jessica Kell who are supported by John Seddon, Ronnie Edwards, Andrew Moore, John Kell, Sarah Close and David Kell. In addition to this team there is the wider leadership team that lead the many activities and ministries at King's Church. We believe in a "body" ministry approach and encourage all to find their area of gifting within the life of the Church.